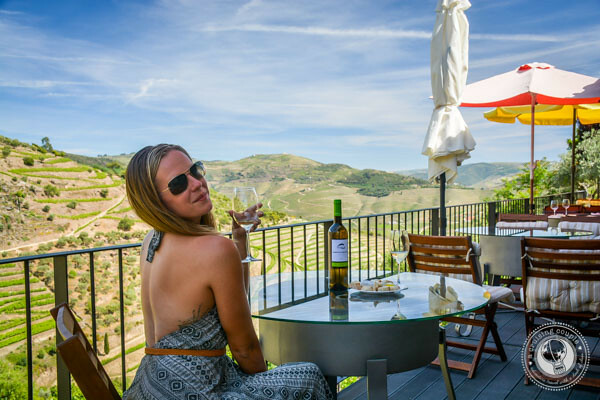 We will never forget our honeymoon road trip across the USA, cruising around Costa Rica with the top down on our Jeep, winery hopping in Chianti region of France or gawking at the Fjords in Western Norway, having your own set of wheels adds a whole new sense of freedom while traveling. 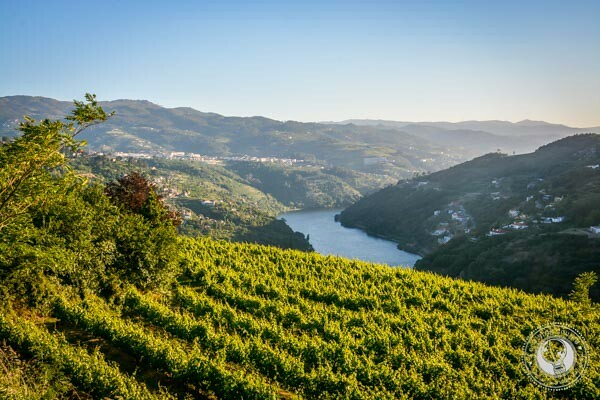 And Portugal was no exception. 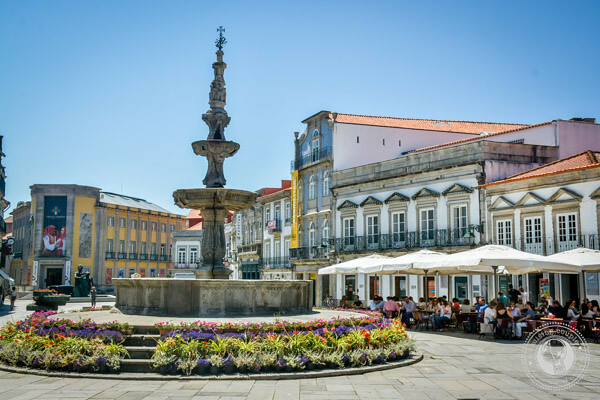 While it is possible to reach some of the main cities by train, we much prefer the freedom of being able to go where you want, when you want, and there are plenty of spectacular destinations to explore throughout Portugal that would have been virtually impossible to get to without a car. We got a fun little hatchback from Booking Group which had more than enough umph to get us everywhere we needed to go. We’ll be diving into more depth about how to see and do the highlights in each of these locations yourself so stay tuned. 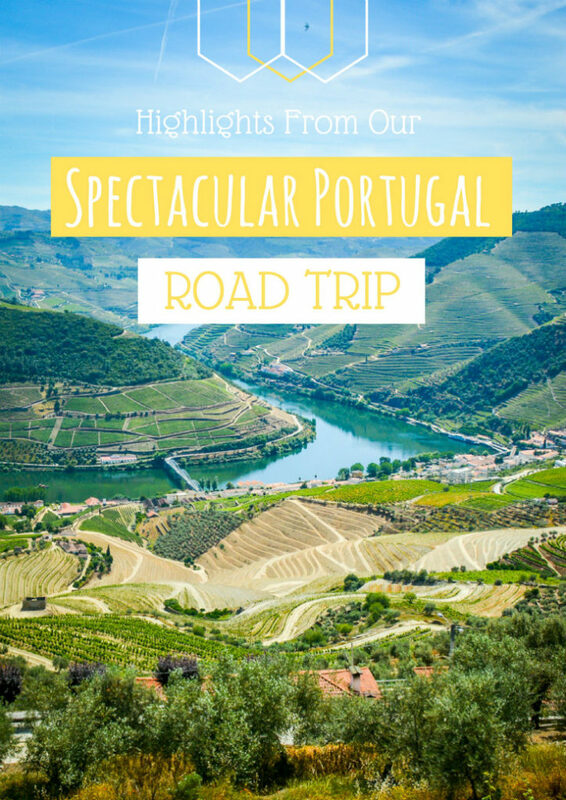 We highly recommend turning your Portugal vacation into a road trip adventure. The most spectacular landsapes we saw were out of our car windows. Take a look below for more details! 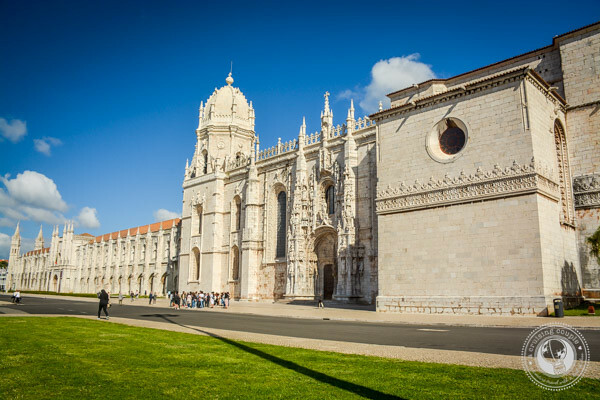 Unfortunately, due to a mix up of our airline carrier, we arrived in Lisbon 36 hours later than we had planned. This gave us only about 3 hours to explore the country’s biggest city. 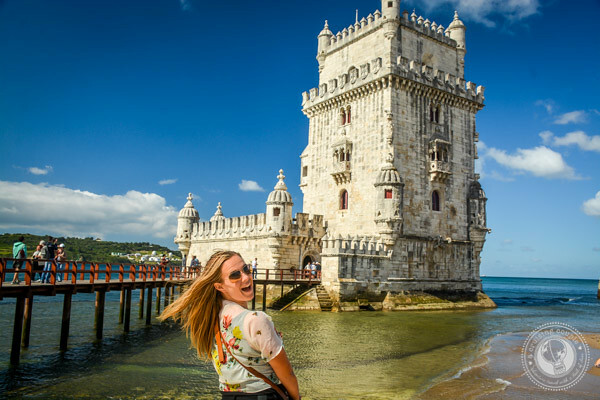 So we headed straight for the best of the best, Belem, to see the Monument Of Discoveries, the enormous Monastery of Jeronimos and the Belem Tower. 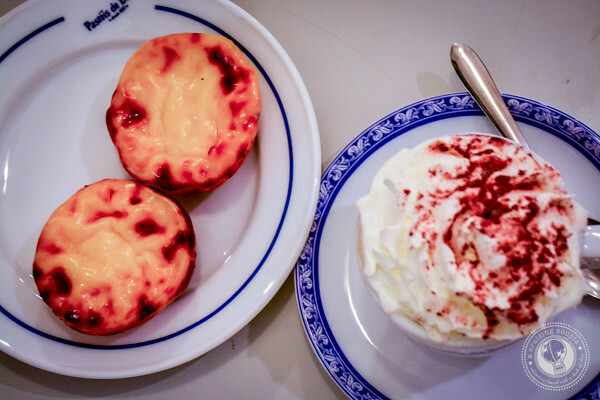 But not before a healthy serving of delicious Pasties de Belem. 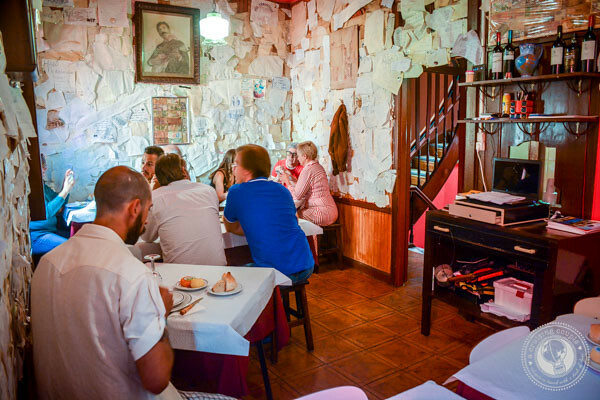 Our next stop was for one purpose only, to eat at Ze Manel dos Ossos which turned out to be one of our favorite meals of the entire trip. 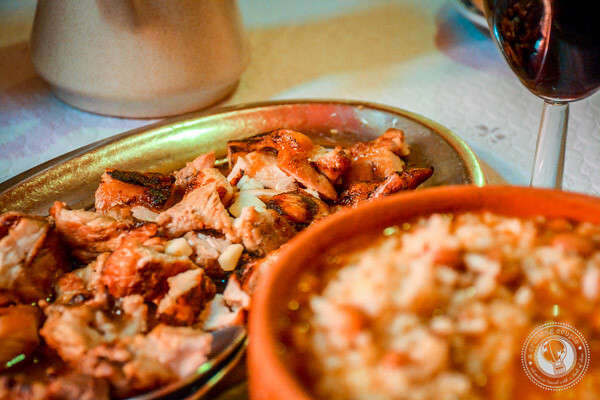 The feijoada here is legendary. 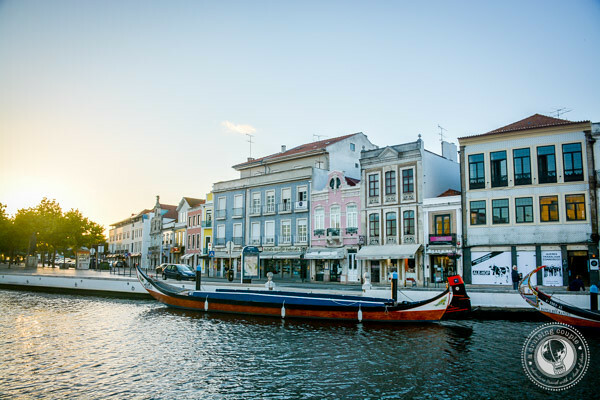 It’s difficult not to try to perpetuate its nickname as the “Venice of Portugal.” With its lazy canal and Italian like gondolas, the downtown does have a very faint hint of the floating city. 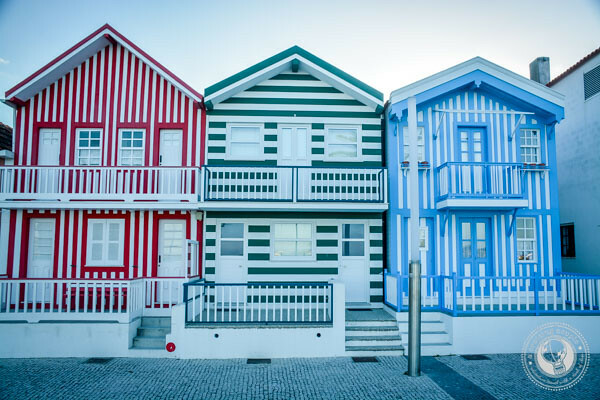 We also enjoyed walking around Costa Nova’s wide sandy beach and unique colorfully striped houses. 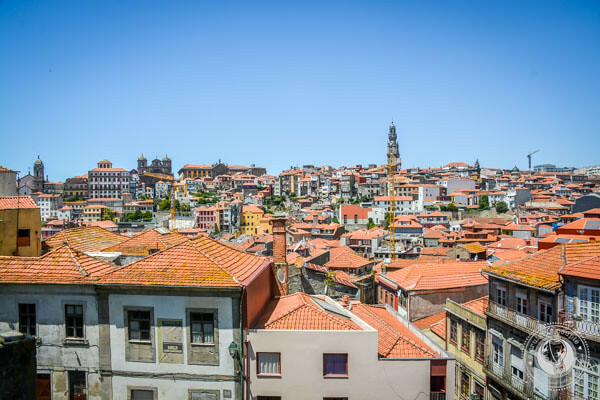 We had mixed feeling about Porto when we first arrived. Due to its small streets, it felt a lot more crowded and congested than our previous stops. 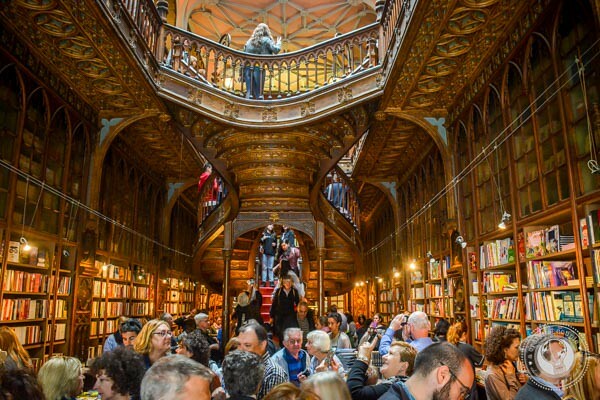 We were very excited to visit the Livraria Lello, one of the world’s most beautiful bookstores, only to find it packed to the brim so much so that it was hard to even get a book off the self. 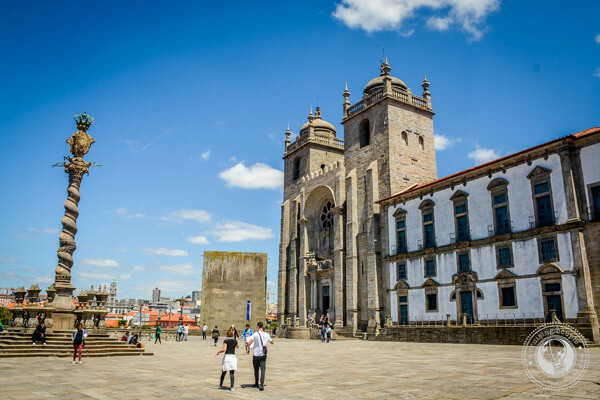 We recommend heading toward the Porto Cathedral and taking in its grandeur and vast view of the city and then heading on to the Cais da Ribeira waterfront, cross the King Louis bridge and finally relaxing with a Port tasting on the rooftop of Espaco Porto Cruz. 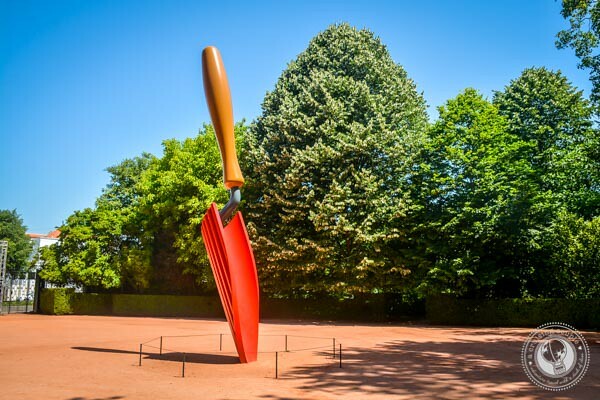 If you have extra time, Serralves is an art museum with a large park that is another great place to escape the crowds. 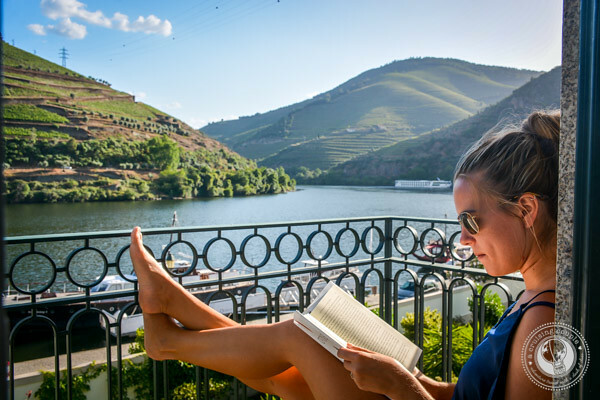 Read the full post about our magical time in the Douro Valley here. 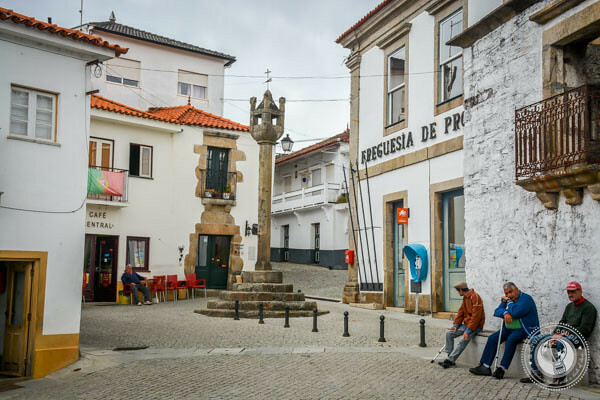 Probably our favorite spot of the whole trip combined a few nights in the quaint town of Provesende and then at The Vintage House in Pinhão. 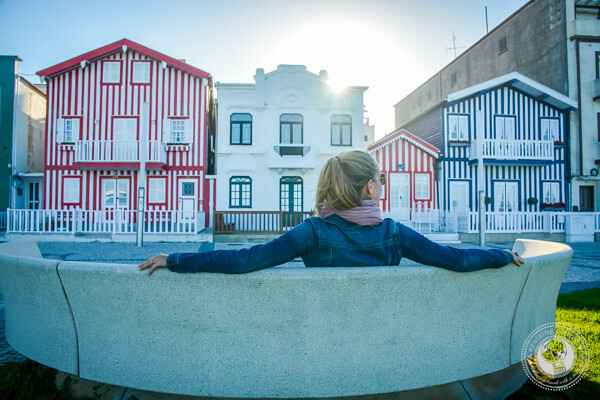 It’s possible to get to Pinhão by river cruise or by train but having a car and being able to explore the beautiful backroads made the experience so much more memorable than just being in the small town of Pinhão alone. 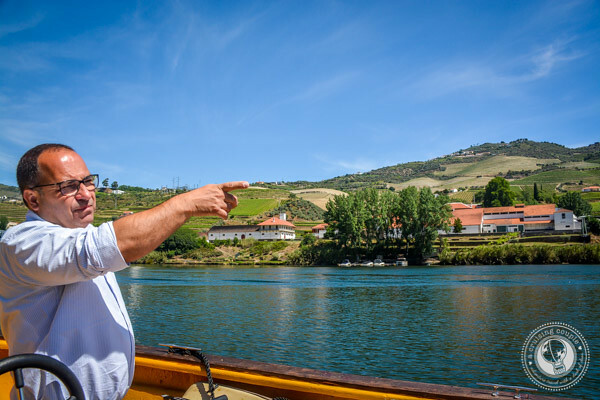 The highlight of the trip was spending a full day with Jorge who all over the valley to some of his favorite wineries that normally aren’t open for drop-ins. 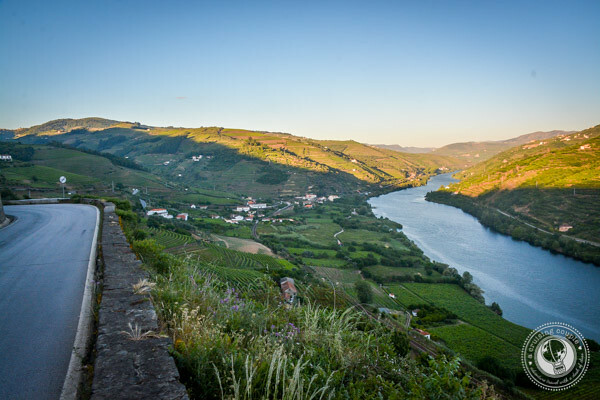 We’ll be laying out all the details of our trip to the Douro Valley in a later post. 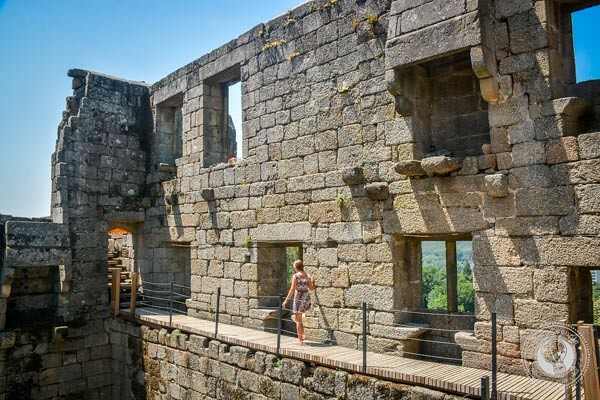 Considered “The Birthplace of Portugal” Guimarães is full of history. 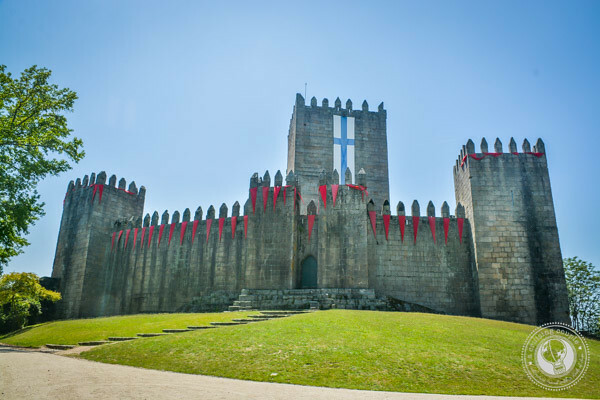 The Guimarães Castle is a great place to gain some historic insight into how Portugal came to be. 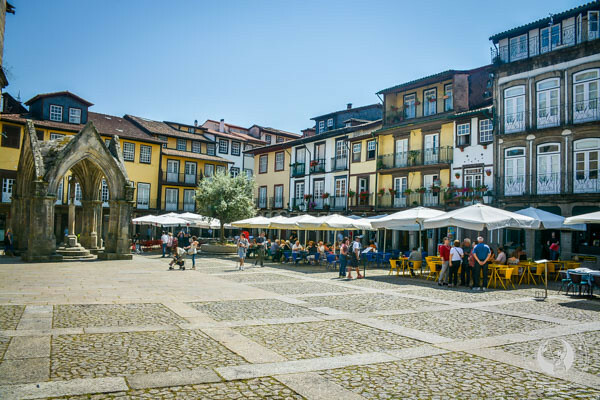 After visiting the castle, we recommend grabbing a drink or a bite to eat in the city’s historic center, a UNESCO World Heritage Site. 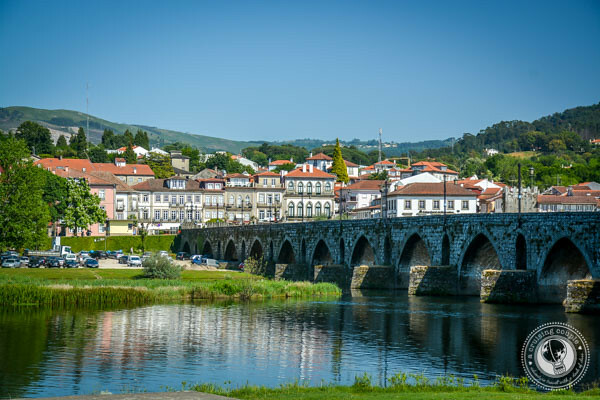 Though Guimarães may be known as “the cradle of the Portuguese nation,” Ponte de Lima is actually its oldest city. 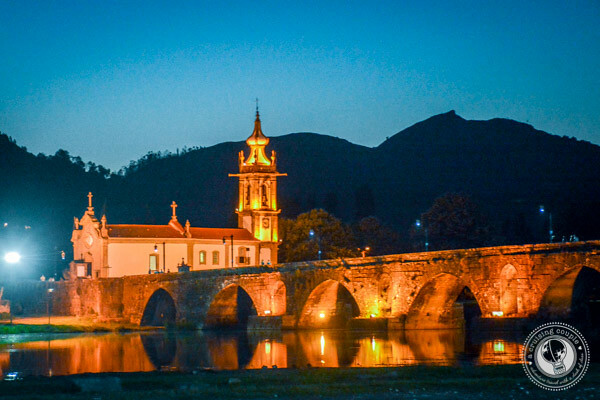 The medieval bridge is worth seeing both during the day and at night when it’s lit up along with the rest of the town. 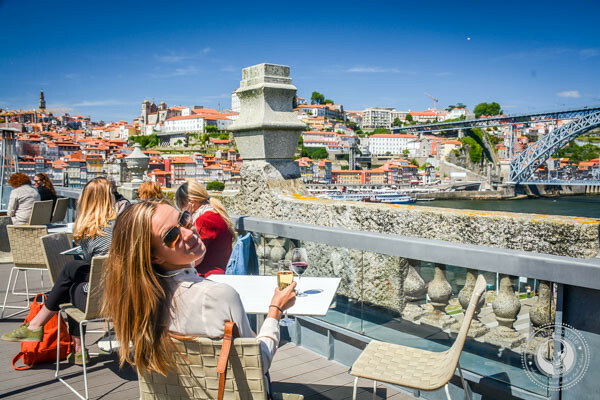 We based our stay in the northern region at the Carmo’s Boutique Hotel, winner of Portugal’s Most Luxurious Hotel. 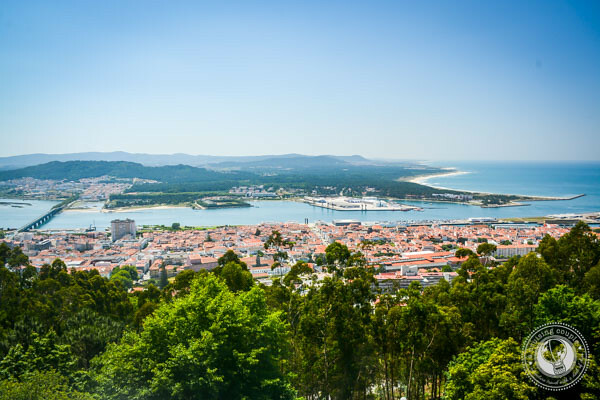 Last, but certainly not least, is Viana do Castelo. 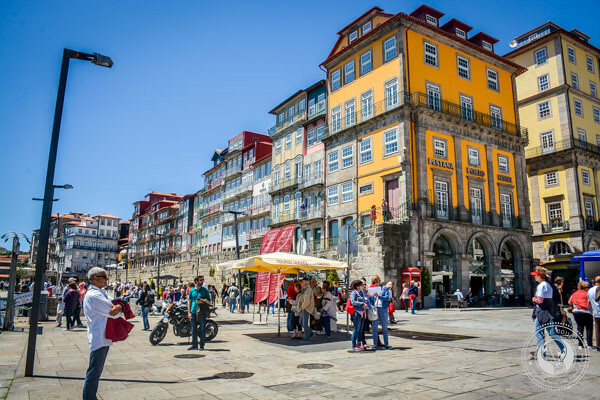 This is a great town to just simply wander around and get lost amongst the old stone streets. 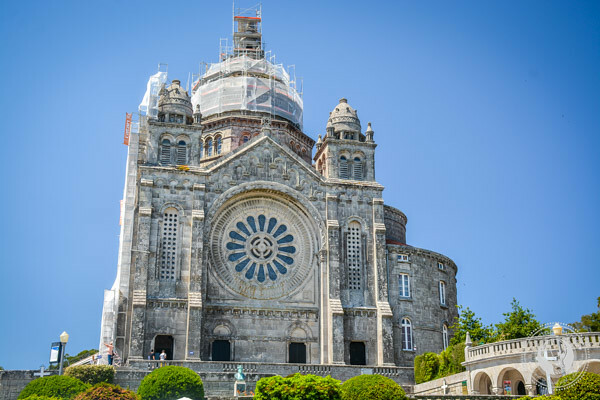 Be sure to drive to the top of Santa Lucia to see the Basilica and take in, what in 1927 National Geographic called, one of the best panoramas in the world. 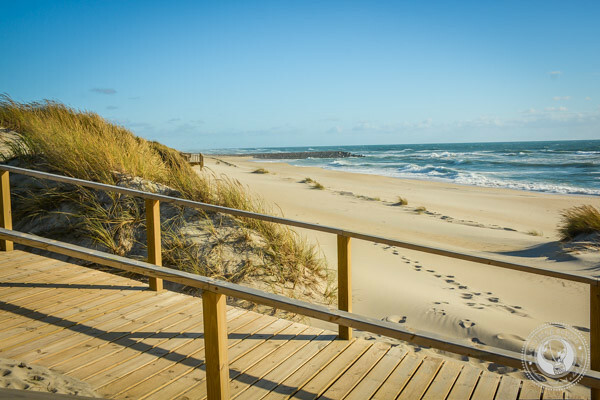 There is also a large white sand beach if you’re looking to relax in the sun during the summer months. 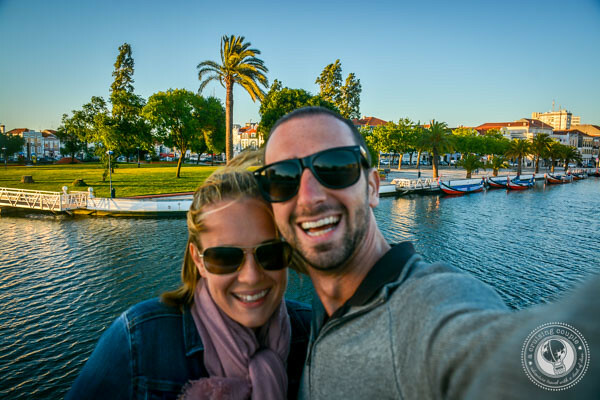 We absolutely loved everything Portugal has to offer. 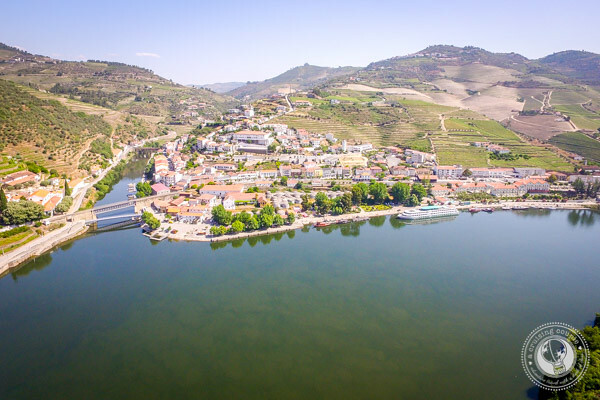 The food, wine, magnificent scenery, but most of all the hospitality of the people who live there. Even better was being able to explore the country with freedom thanks to Booking Group. We’ll be diving into more depth about each of these locations in a few weeks so stay tuned! 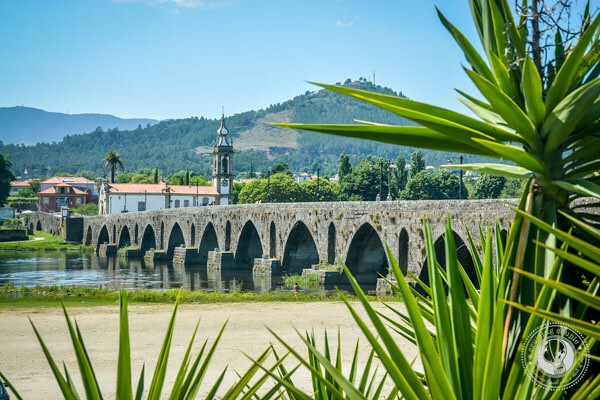 Have you ever traveled through Portugal? What were your favorite spots? This road trip was made possible in part by Booking Group. As always all thoughts and opinions are our own. 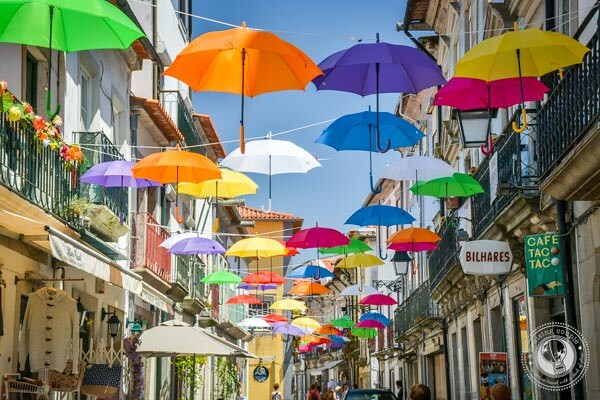 Those umbrella streets are such a cool sight. It looks like an amazing trip. 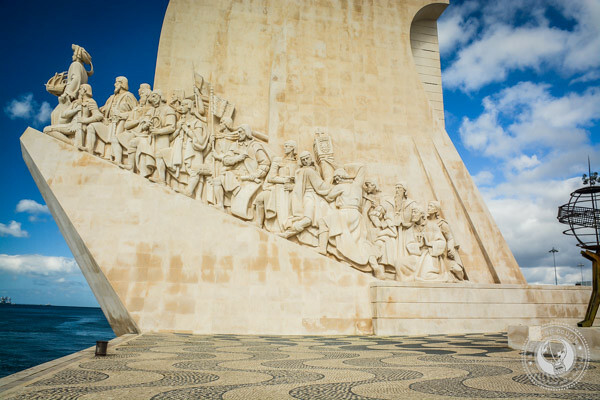 Your trip in Portugal seems awesome. There are many nice places, I wish I would come there to travel in the near future. You missed the South guys.